Customer expectations have changed dramatically. Given the all-digital, ever-connected world we now live in, it’s easy to see why some companies — especially those that have found success in the pre-mobile era — can’t keep up with the competition. In 2018, providing customers with a positive overall brand experience must be paramount. Choices are abundant, and consumers no longer have the time or patience to interact with brands that don’t understand or cater to their needs. If businesses haven’t yet, now is the time to adapt. Here are three of the most important strategies to foster better customer relationships and, in turn, grow your brand and generate more revenue. Today’s customers are willing to give you their money — but don’t waste their time. While it’s usually not even a conscious decision, every tiny impediment that adds complexity to the shopping process — called “friction” — is one more opportunity for customers to abandon the sale. Having a clunky interface or even requiring one extra click before a purchase is finalized can affect people’s desire to return. With this in mind, try to eliminate barriers to entry on your website. The digital shopping experience is getting more efficient and less intrusive all the time, and social media is helping to condition buyers to demand they can have an item they just saw on the way to their home in seconds, not minutes. And this is just the beginning. Soon, home voice assistants will be ubiquitous, artificial intelligence applications will overtake the market, and the Internet of Things era will fully arrive. By the time these innovations are commonplace, organizations operating with an outdated mindset will struggle to stay in business. There’s no longer an excuse for only replying to customer complaints, questions and issues over the phone. Nowadays, you need to offer support through social media, with live chat being a general expectation. And this multichannel approach is now the minimum acceptable standard for companies that want to keep pace with competitors. The next frontier is full “omnichannel,” in which there is a full back-end connection between all the different means of communication. This way, a customer who initially raises a complaint on Twitter can turn to online chat or receive a phone call, with the live agent already possessing the requisite information to understand and resolve the matter quickly. In practice, this is still an emerging service model. But within a few years, all customers will have this expectation. Try to anticipate that market now and get ahead on support. A company can try to offer customer service all by itself. But since it’s rarely a core competency, it’s often better to bring in the pros. Companies that spend the entire year interacting with customers understand the landscape best. Ultimately, it comes down to this: Your company knows its specific business, and a call contact center knows customer experience. On top of expertise, the added benefits are plentiful. Outside firms employ advanced analytics systems that can track and monitor customer satisfaction scores, resolution rates and other vital metrics. These platforms are sophisticated and can translate to key business intelligence that will help with customer retention, product development and marketing. Customer service then becomes not merely an expense, but rather an opportunity. Whether through just some form of consulting and training or handing over all of the work to the customer experience experts, all companies should at least consider partnering with a third party. After all, they’re the ones keeping up with the latest trends and developments, and allying with those on the cutting edge will make sure you’re not left behind as you focus on sales and brand building. The new keys to providing a great customer experience are simplicity, availability and expertise. Those three aspects cover most of what companies must focus on. Simplicity means making it easy for customers and prospects to procure your services. If you aren’t working your tail off to drive down transaction times and eliminating pain-points in the sales process, you’ll soon lose out to companies that subscribe to this practice. Availability means being reachable wherever customers desire. Organizations no longer get to dictate the terms of interaction. If the customer uses Facebook and you don’t? Well, they will just find a company that does. Brand loyalty no longer runs deep. And expertise means staying up-to-date with the latest communication and delivery options. It is certainly possible to do this in-house, but it can require a tremendous investment into non-core operations. Consider partnering with those who know the market best. Overall, it isn’t that hard to do this well. But it does require focus and commitment. Your customers are your lifeblood. You can no longer expect to thrive in your market if you don’t prioritize their satisfaction. 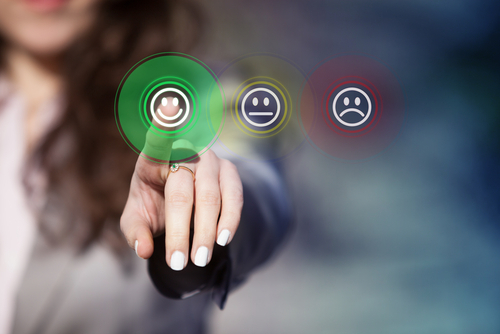 How do you keep your customers and clients satisfied?